The Earth Tones Collection is inspired by the wild and natural elements around us. 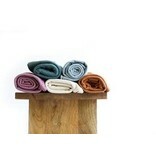 These rich colors are modern, versatile and sophisticated. 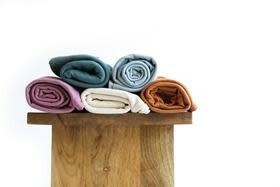 The Earth Tones Collection is made with 100% GOTS certified organic fabrics, grown in the USA and sewn in Minnesota. 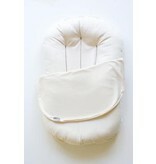 Each Snuggle Me lounger comes with 1 organic lounger, 1 cover and 1 white canvas travel bag. 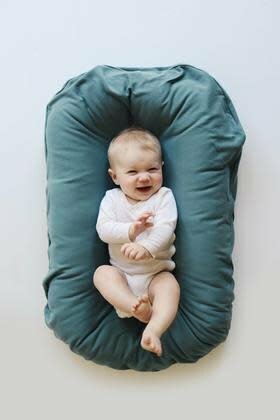 QUALITY:We use organic, ethically sources, all natural materials and fills, and our hypoallergenic poly fill is free from flame retardants and ethylene glycol (as are all of our organic natural fibers). 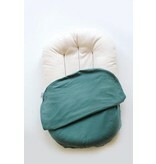 Additionally, all fabrics and materials are lead free, latex free, phthalate free, and BPA free. 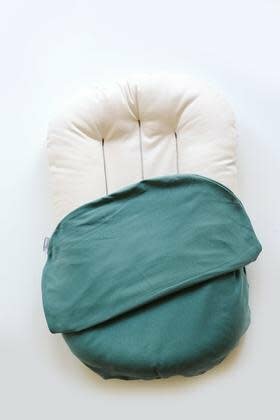 All organic components used to create Snuggle Me™ are third party certified organic and chemical free. 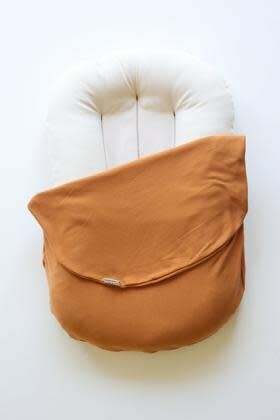 SAFETY: Our closed system (not open at the bottom or closed with clasps) is an important feature because it doesn't allow baby to scoot. Similarly, our exclusive patented center-sling™ guarantees several essential and important functions you want in a lounger. 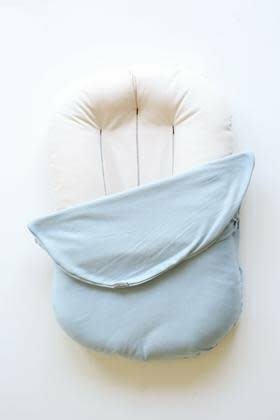 WHY IS THE CENTER SLING ESSENTIAL? WHY IS THE LENGTH AND WIDTH KEY TO YOUR DESIGN? 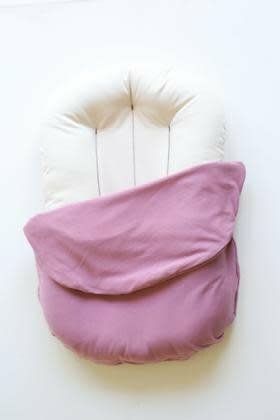 An important & distinctive feature of Snuggle Me Organic™ is that unlike other loungers on the market it was created to cradle baby's torso, not the entire baby, so this means that as he grows, he will be able to utilize the full features of the lounger as it was designed - with their legs gently draping over the bottom. 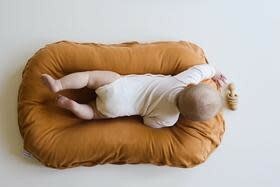 We've purposely omitted a padded bottom in our loungers because that is also safest for baby. 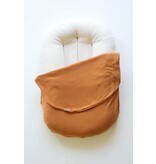 Snuggle Me takes on the firmness it's placed upon, unlike other examples that have padded bottoms. 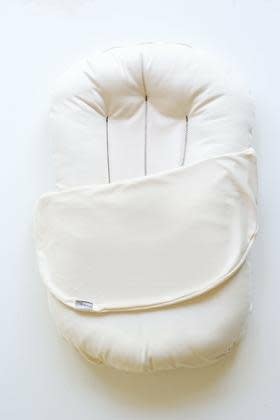 I heard rave reviews about this product before my little one was born and this did not disappoint. 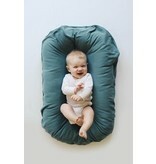 I love that it’s organic and don’t have to worry about what my baby is breathing in. 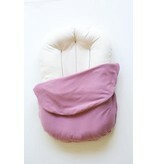 It also provided the ultimate “snuggle” comfort newborns need in moments I couldn’t always hold her.